How Do I Save Money On My Cell Phone Bill? Here's The Truth! You are at:Home»Deals»Plans»How Can I Save Money On My Cell Phone Bill? Here’s The Truth! In a world where cell phones have become as indispensable as the toothbrush (OK, almost as indispensable), they’ve also become a major expense in our lives—especially for families. With monthly plans running into the hundreds, that’s thousands of dollars a year coming out of the family budget. But it doesn’t have to be that way. I promise—you can save money on your cell phone bill. My first-hand experience working with wireless providers, cell phone plans, and real customers at the Apple Store gave me a new perspective about how much money people throw away because they don’t know what they really need to pay for. 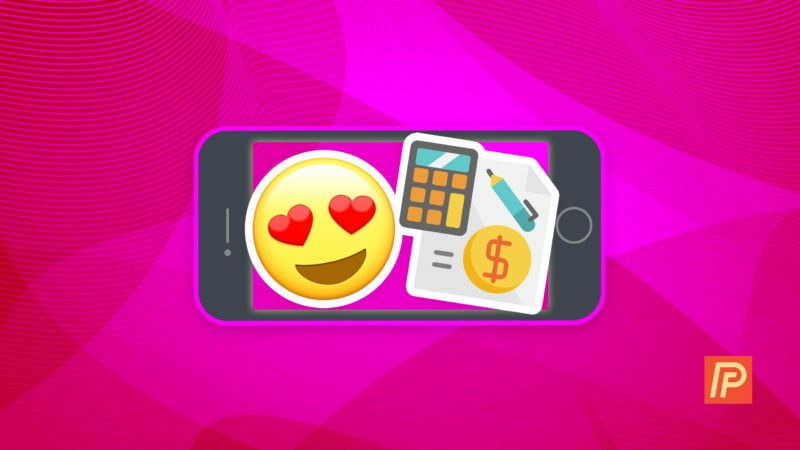 In this article, I’ll let you in on the absolute best way to save money on your cell phone bill and get new iPhones (yes, it’s possible) and explain how to fine-tune your plan with AT&T, Sprint, Verizon, or any another carrier. Before we begin, you should know that this article contains links to AT&T’s, Verizon’s, and Sprint’s websites, and I may receive a referral fee if you click on one of those links. You don’t pay anything more as a customer and I never allow money to influence any of the information I provide—it’s a wonderful way for you to help support my website and save money yourself, and I’m very grateful when you do. Now is a great time to be a consumer, because wireless companies are willing to shell out big bucks to get you to switch. They want you, and they want you bad. Even if you’re currently in a contract, AT&T, Sprint, and Verizon will all buy you out. They’ll also offer you promotional pricing on new phones, lower rate plans, and in some cases, a gift card just for switching. Just like the corporate world, sometimes the best way to get ahead is to leave and come back. That’s right: A lot of the time, you can save money and get a new iPhone by switching to another carrier. You’ll usually be eligible for promotional pricing, and sometimes you’ll can get an additional bill credit if you trade in the phone you have now. If you’re happy with your current phone or you just got a new one, sometimes you can “bring your own phone” too. And let’s bust a common misconception right now. The truth is that the easiest and cheapest way to get new phones is to buy them online. Carriers offer extra savings to people who sign up for new phones online or over the phone. Buying new phones over the phone can mean long hold times, not being exactly sure about what you’re ordering, and getting talked into unnecessary features by carrier representatives. Why Do Most People Go To The Store? Carrier insurance is a great example of an upsell that often turns out to be a huge waste of money for most people—almost no one I’ve met understands how it really works or does the math on how much they end up paying over the course of two years. And that’s not the only example—the lost phone tracking and family communication apps are features that are built-in features that carriers repackage with a couple extra features that usually aren’t worth the monthly fees. Back in the days of the iPhone 4S, I once spoke with a carrier representative who said he would routinely send customers to the Apple Store to have their power buttons fixed. When I told him they could only replace the entire phone, he insisted that I was wrong. I told him that I was a technician who currently worked in the store, and that I was quite sure of the policy. I think he believed me. How Do I Trade In My Phone If I Buy A New Phone Online? It’s easy. Usually, the carrier sends you a prepaid label along with the box your new phone comes in. This is another advantage of buying your new phones online: You have enough time to make sure you got all your photos, contacts, and other personal information off your old phone before you trade it in. When you’re ready, you put your old phone in the box and drop it in the mail. New AT&T users should be aware that Verizon has recently lowered its prices significantly, my article that compares family plans side-by-side shows how a family of four with a large data plan could save over $50 a month by switching to Verizon, or more than $80 a month by switching to Sprint. Even though some of AT&T’s plans are more expensive than Verizon’s, Verizon customers may want to consider switching to AT&T if they don’t use a lot of data, and they’re sick of their current phones and want to trade up. Sprint is pulling out all the stops and offering $725 in promotional pricing for people who switch, which includes up to $650 to buy you out of your current contract and a $75 gift card. They’ll also cut your current rate plan in half, so you’re not only getting a new phone and gift card, you’ll save a lot of money on your plan as well. In my experience—and this has been changing in recent years—AT&T and Verizon have top-notch service and coverage, and Sprint is spotty in some areas. If you’re really looking to save a lot of money, look at Sprint, but I’d encourage AT&T customers to look at Verizon and Verizon customers to look at AT&T before going anywhere else. Visit AT&T, Sprint, and Verizon‘s websites to learn more about their current plans—you could end up saving a lot of money. If you’re pressed for time, check out the Payette Forward Cell Phone Savings Calculator to learn how much money you could save in less than a minute. In this section, I’ll share some tips that will help you save money whether you decide to switch to a new carrier or stay with the plan you have now. The best way to save money is to do both: Switch carriers and follow the tips in this section. If you’re not ready to switch, these tips can help you save money too. One of the most common misconceptions about iPhones – and sometimes what carrier representatives tell customers – is that you need cell phone insurance because if you smash your iPhone or drop it in the toilet, you have to buy a new one at full retail price, which is at least $649. This is 100% not true. I strongly encourage you to read my upcoming article about the truth about carrier insurance, which includes a calculator to find out whether it’s worth it for you to ditch carrier insurance, whether you should buy AppleCare+, or choose not to pay for any insurance plan at all. My parents recently started saving $50 a month by upgrading their old plan to the new “Verizon Plan”. Doing the research doesn’t have to be difficult. I simply went on Verizon’s website, started a live chat session, and asked the representative if my parents could save money by switching to a new plan. 15 minutes later, my parents were saving $50 a month. Even if you’re in a two-year contract, the details of the plan can usually be changed. Take a look at your data usage, and if you’re consistently under the amount of data you’re paying for, you could save a significant amount of money by stepping down to a lower plan. On the other hand, if you’re consistently going over your monthly allowance, you could probably save money by stepping up to a higher data plan, because data overage charges are often much higher than what you’d pay by purchasing a more expensive data plan upfront. If you’re having trouble staying under your monthly data allowance, my article called What Uses Data On iPhone? contains some great tips that will help you cut down on your data usage. In this article, we covered the best ways to lower your cell phone bill from my experience working with AT&T, Sprint, and Verizon. The money-saving tips in this article apply to many other carriers as well. As we’ve discussed, the best way to save money is to switch to another carrier—at least until your current carrier offers an even better deal to get you back. I’d love to hear about how much money you’ve saved in the comments section below. Previous ArticleMy iPhone Won’t Rotate. Here’s The Real Fix!